The 1220D and DX are excellent economy cowhide leather palm options. 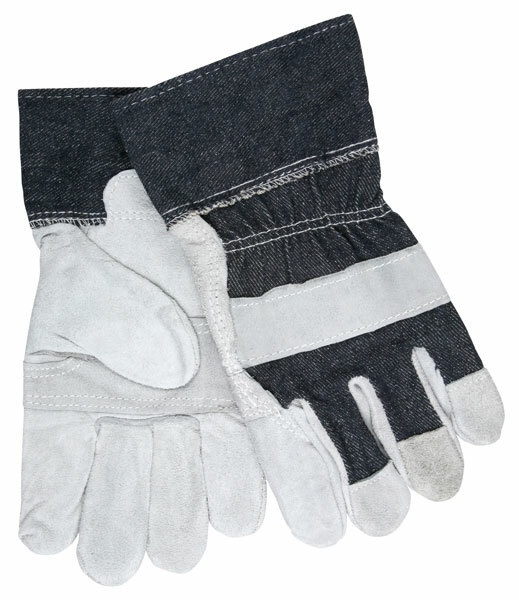 They feature economy split cowhide leather, full feature, denim fabric, 2.5" denim safety cuff. The 1220DX is a patch palm version.